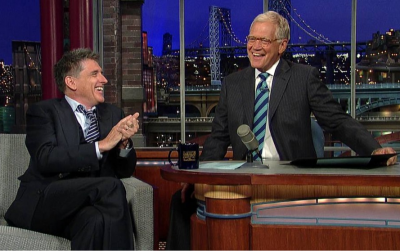 David Letterman and Craig Ferguson won’t be looking for work anytime soon. They’ve both signed contract extensions with CBS to stay with their respective late night talk shows — Late Show with David Letterman and The Late Late Show with Craig Ferguson — through 2014. Both programs have been produced by Letterman’s Worldwide Pants production company but, as part of the new agreement, CBS will take some of the ownership of the Ferguson-hosted series. Under the extension, Letterman is expected to make late night history, surpassing the 30 year record held by his idol, the late great Johnny Carson. 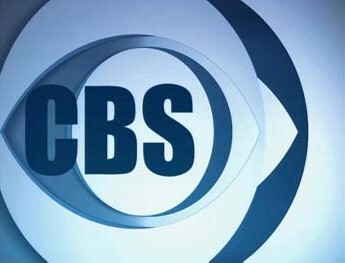 As part of this new deal, THE LATE LATE SHOW will move to a larger stage at CBS Television City in Los Angeles, and CBS will co-produce the series with Worldwide Pants, Inc.
David Letterman has been credited with redefining the talk-show genre when “Late Night with David Letterman” premiered Feb. 1, 1982. The groundbreaking show earned a Peabody Award, five Emmy Awards and 35 Emmy nominations during its 11 1/2 years on the air. Since its debut on CBS on Aug. 30, 1993, the LATE SHOW with DAVID LETTERMAN has been honored with nine Emmy Awards, including six for “Outstanding Variety, Music or Comedy Program,” and a staggering 70 Emmy nominations. Since its debut in 2005, THE LATE LATE SHOW with CRAIG FERGUSON has won critical acclaim for its unpredictable style and its host’s versatility and charm. The Scottish-born actor, writer, director and producer has brought a unique approach to late night television, earning the show a Peabody Award in 2009 and its host an Emmy Award nomination in 2006. The program’s signatures include an extended, unscripted monologue and guest interviews noted for their free-wheeling nature. The LATE SHOW with DAVID LETTERMAN is broadcast weeknights (11:35 PM-12:37 AM, ET/PT) on the CBS Television Network. Barbara Gaines, Matt Roberts, Jude Brennan, Maria Pope, Eric Stangel, Justin Stangel and Rob Burnett are the executive producers. THE LATE LATE SHOW with CRAIG FERGUSON is broadcast weeknights (12:37-1:37 AM, ET/PT). Peter Lassally is the executive producer; Michael Naidus is the producer. What do you think? Do you watch either or both of these shows? Do you prefer one over the other? More about: Late Show with David Letterman, Late Show with David Letterman: canceled or renewed?, The Late Late Show with Craig Ferguson, The Late Late Show with Craig Ferguson: canceled or renewed? My husband and I like Dave Letterman. We watch it every night. We can’t wait to see the top 10 list and we used to like to see the interviews with Ruperts (I guess that ‘s how you spell it) deli. With CBS being added as a co-producer that better not mean they get to dictate what Craig gets to say and do on the show. We’ll give you a bigger studio if we get to veto a bit if we feel that it crosses a line. Craig in a larger studio? I hope that works out but it’s about time. Nice to see The Late Late show sticking around. Craig and Geoff are hilarious. Khloe smash!! !